Multiplayer survival shooters are all the rage right now and another one is on the way from a studio well versed in post-apocalyptic settings. 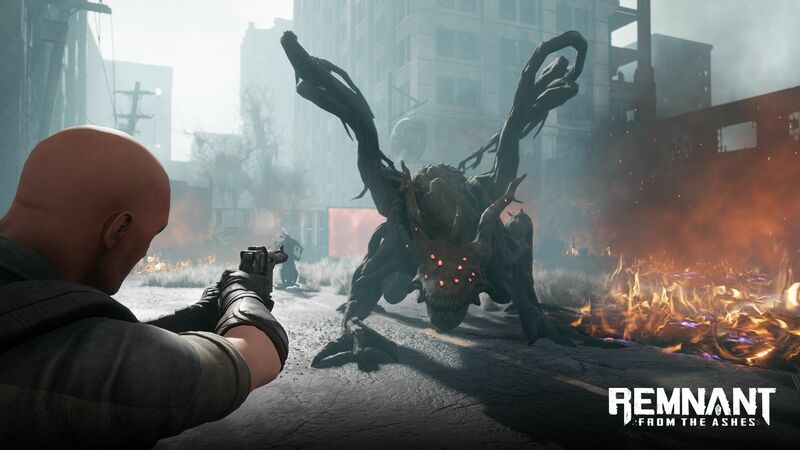 Gunfire Games, the team behind Darksiders 3, is working on Remnant: From The Ashes and I got a chance to tackle a mission while at TwitchCon 2018. Multiplayer is a focal point in Remnant, but I only played solo in this demo. I selected the Hunter, going with the mid-range damage dealer that can summon a pet over a longer range archetype that was available. This particular Remnant: From the Ashes demo started me out in a subway that I needed to navigate and escape from. The common enemies in the space shambled up slowly for melee attacks or would throw objects if I stayed out of range. They were easy to manage one on one, but the tight corridors got rough when I got cornered by a few of them. When that happened, I retreated and let them funnel toward me in a wider space. At one point, my gunfire attracted the attention of a much larger beast that could close in quicker than the common fodder. His attack animation, however, was very slow and apparent, so it made it easy to dodge roll and fire when given the chance. It served me well allowing him to get up close, allow the attack animation to start, and then roll out of the way and unload as much as I could. The path through the subway was pretty linear and only had one path that really broke away from the main trail, but it circled back eventually. After clearing the creatures, I came upon an exit that opened up into a less claustrophobic space and met my first boss fight. The battle took place in an open space with rusted cars and damaged walls to hide behind. The dragon-like creature started off breathing fireballs that were simple to avoid with a roll. As the fight went on, the frequency of the fireballs increased, he started to breathe a continuous stream of fire around him, the ground caught fire, and additional creatures joined the fight. I learned quickly that the walls and cars were destructible and decided to go on the offensive. The trouble with all of the dragon’s attacks and the burning ground is that a continuous burn would chip away at my health when hit. So, I kept my distance for the most part and summoned my grotesque pet whenever additional fodder enemies got close. The pet would get destroyed quickly by the dragon, but handled itself just fine with the smaller creatures. With this strategy, I kept chipping away at the boss’s health with the revolver and switched to the shotgun when he dashed in close. 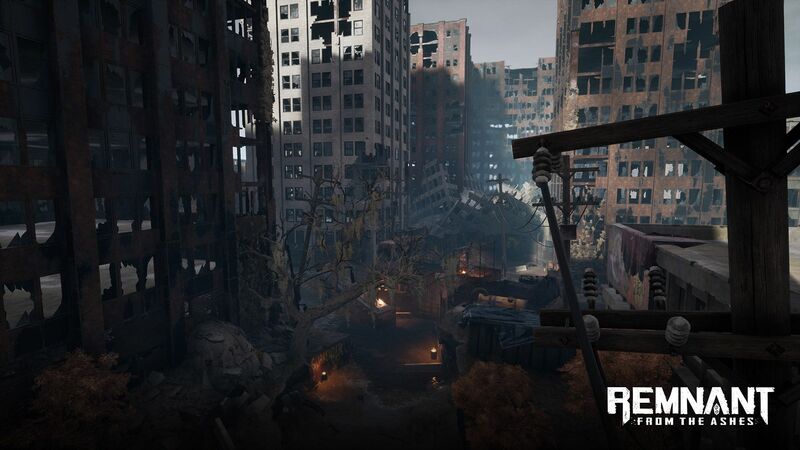 Remnant: From The Ashes has a beautiful, yet grimy aesthetic to it that is fitting of its post-apocalyptic setting. The demo was light on story, but teased an intriguing world that has been invaded and casts players as capable survivors that are the last line of defense. The mixture of fantasy elements, like summoning creatures, give it another layer of intrigue that will hopefully help Gunfire Games and their new project stand out from the pack. Stay tuned to Shacknews for additional updates.